If you are looking for a place where you will enjoy long walks with family or friends while your stay in Strumica, the city square is designed for that purpose. 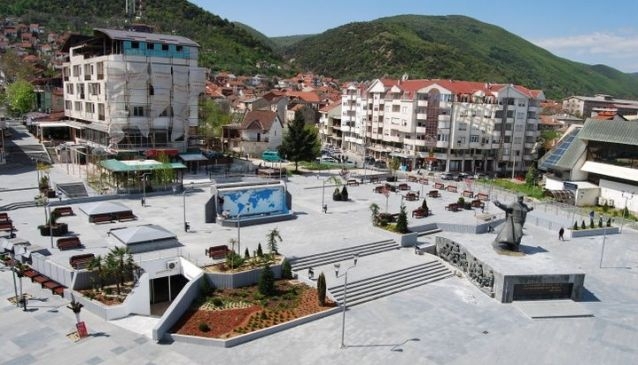 The square was built in 1971 and bears the name of the great Macedonian revolutionary Goce Delchev, because of this fact there is a monument of Delcev placed in 1976, centrally on the square. There are numerous desks and trees where you can rest after walking and many beautiful views which you can enjoy while passing across the square. Walking here you will notice the energized spirit of the city as well as the splendid way of life in Strumica. Near the square there are many cafes, restaurants and bars which make the whole area dynamic and crowded with people. The Square 'Goce Delchev' is a place where many projects, concerts, manifestations and other open-air events occur, especially during the hot summer evenings.